Well, you’ve been voting for the whole month of March so it’s come down to this! Our final two was the Under the Sea vs. Part of your World. 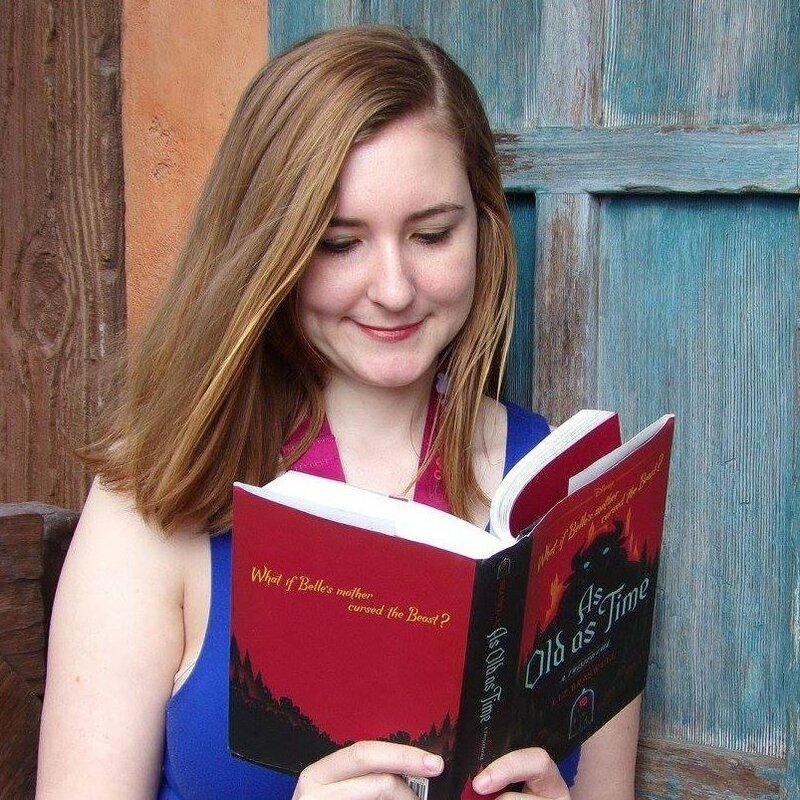 Both are from The little Mermaid, so clearly we have fans of that movie who follow the blog! It does have a great soundtrack, being the movie that began the “Disney Renaissance” of the great films of the 90’s. Under the Sea is an upbeat, fun ensemble number while Part of your World is a heartfelt solo. So which one was the favorite amongst Disney fans? But you know what the craziest thing is? It won by ONE VOTE. So when I tell you every vote counts, I really mean it! I’m actually shocked that it ended up being so close. I thought Under the Sea would be the runaway winner out of these two. There were a lot of crazy upsets earlier in the tournament, with songs getting eliminated early on that I didn’t expect. I anticipated perhaps we’d see Be our Guest, When you Wish Upon a Star, or Can You Feel the Love Tonight in the final two. All things said, I think Under the Sea is an excellent song and while I’m not sure it would have been my choice for the winner, I think it’s probably worthy of the honor. 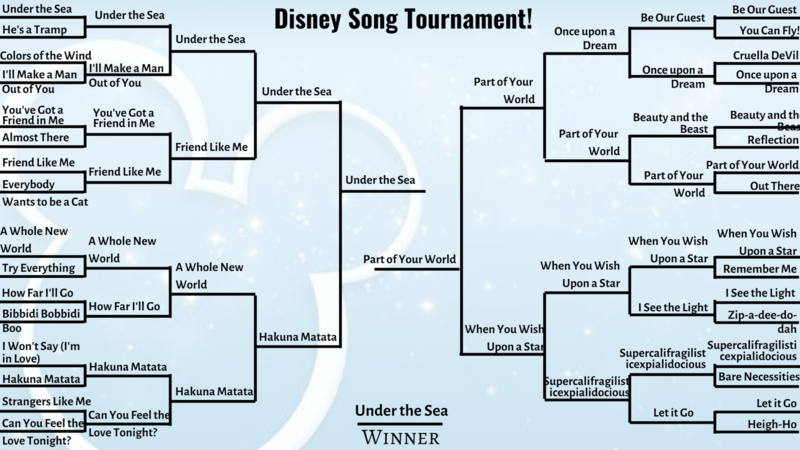 What do you think of the results of the Disney song tournament? Are you glad Under the Sea won?